As 2013 inches ever closer, a new year of racing begins. If you are a local RMXA, MRA, or SRAC racer, consider applying to Grand Prix for race sponsorship! We are now accepting resumes and we are eager to add some great members to our team! Feel free to apply any time in store, or submit your resume via email. You will want to talk to Jeff Sanden, or Tracy Thoes in the parts department for any questions you may have or for submissions. Honoring Those Who Protect & Serve! 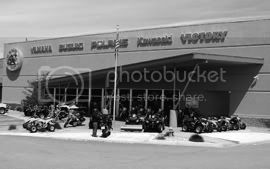 Victory thanks Police Officers and Firefighters for their service with an additional $1,000 cash back on the purchase of any new Victory model. Available to active and retired police and firefighter personnel (proof of valid police or firefighter ID required at dealership). ZERO is running a financial promotion on their motorcycles with payments starting as low as $96 a month! I know people who spend that on gas, and that’s something you won’t even need with one of these 😉 Come try one out for a demo ride. Save 20% on Parts • Gear • Accessories This Week! Yamaha wants to clear out some vehicles for the incoming new year – these incentives and more are around until the 31st, make sure you don’t miss out!